Simple goldline designs. Seems overseas buyers love this design. Gotta say I love this one. 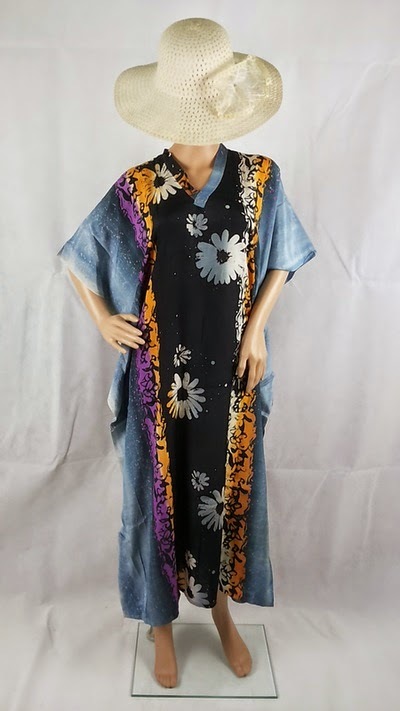 One of the newer trend of batik kaftan is the batik kaftan goldline. It is usually more symmetrical that the classical batik kaftan design (usually with one big flora design). 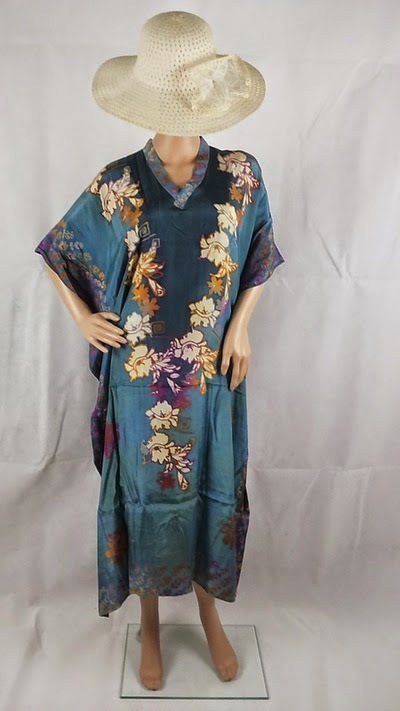 The flower design in kaftan goldline would be more medium to smaller sized flowers with two tones dyes separating the upper and lower body of the kaftans. It's tjanting method differs from the usual white line (after the tjanting wax was boiled off only a white colour will remain in which the dyes are prevented from the white cloth). Kaftan goldline design line would usually be coloured - either gold colour or multicoloured. It is nice in the sense that although muted and usually less colourful, the drawing of the design itself are enhanced.